Imagine if You Could Erase All the Hurt and Disappointments of Your Past? What if you could start over with a clean slate? 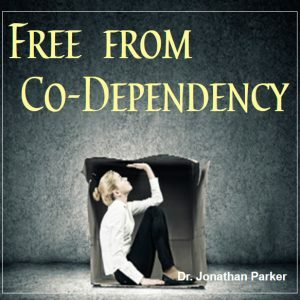 In what many consider the most important, life-changing program ever created, you can learn just how easy it is to let go and live the life you deserve. No matter what you want to achieve in life—be it personal fulfillment, financial success, better relationships, vibrant health, spiritual development—you must first mentally clear any blocks and fixations held in your subconscious mind that are keeping you trapped. Imagine if You Could Erase All the Hurt and Disappointments of Your Past? What if you could start over with a clean slate? In what many consider the most important, life-changing program ever created, you can learn just how easy it is to let go and live the life you deserve. An often-overlooked critical step in achieving permanent and meaningful change, is letting go of deeply held negative beliefs and patterns formed in your past. Once these self-limitations are removed, you can then be free to become the person you want to be and create the life you want to have. Through 16 hours of discussions, instructions, guided visualizations, and both audible and subliminal affirmations, you will free yourself to start a whole new life. 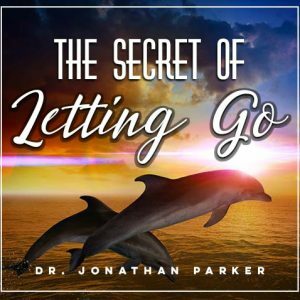 Utilizing the most advanced mental clearing procedures known, including visualizations, subliminal programming, and Mind-Talk Affirmation programs, Let Go of the Past is designed to release you from whatever may be holding you back. 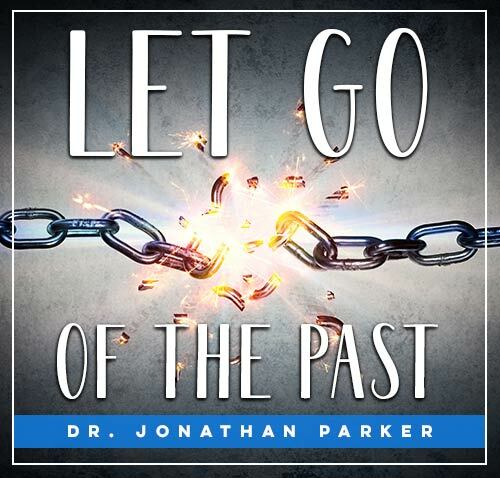 In Let Go of the Past you’ll tap into your subconscious to free yourself by erasing negative mental programming and blocks, and replacing them with life-enhancing positive beliefs and attitudes that will enable you to reach your goals and live your dreams. Program 1 : How to Break Free from Your Past. Why change has been difficult and how you came to be who you are today. Program 2: Dis-identification. How your evolution and freedom and dependent on how you form identifications. 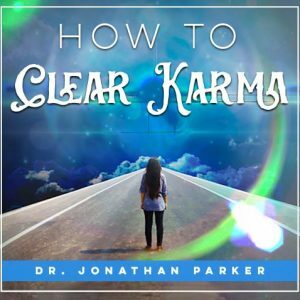 The key to transforming yourself in health, finances, relationships, and emotions lies in clearing deep identities that keep you stuck in your past. Program 3: The Power of Subconscious Fixations. Discover the cause of your problems in life and how you defeat yourself by your own thinking. You will learn highly effective ways to change your negative thinking and analyze your own your own thinking process in the formation of values and prejudices. The role of your subconscious mind, and how you form judgments, as well as methods to release yourself from negative fixations and blocks. Program 4: Release Fear of Failure, Criticism, and Rejection. How to release yourself and be free from the source of guilt and shame. Program 5: Discover & Clear Mysterious Bad Moods and Blocks to Success. Practical ways to combat and dissolve negative thinking, negative feelings, and negative speech. Program 6: Free from Negativity. Visualizations to remove fear, guilt, negative thoughts and feelings, blocks, resentment, jealousy, and other conscious and unconscious fixations. Program 7:1 Life Scan for Freedom. A visualization technique which may be used again and again to scan your entire life for fear, guilt, hurts, envy, jealousy, resentment, bitterness, sins, and other negative aspects of life. Followed by a powerful technique to release and permanently dissolve them. There is also a visualization to focus your life on happiness and more positive experiences. Program 7:2 Beauty, Peace & Happiness. A deeply relaxing session you will visualize beauty, peaceful, and happy circumstances with positive affirmations to reinforce the contentment and joyfulness. Program 8: Visualization-Meditation – Journey Within - Discover Your True Self. Explore your inner self beyond all you identify yourself with. Let go of inner voices, habits, judgments, struggles, limitations, and pain. Let go and surrender and be free. Program 9: Visualization-Meditation – Empowerment Journey. This guided visualization session makes use of metaphorical stories to program your subconscious mind with positive success beliefs and motivations. This visualization is reinforced with supraliminal and partially subliminal affirmations and sound effects which deeply impress your subconscious mind with empowered programming. Program 10: Visualization-Meditation– Remove Fear & Guilt. This guided session helps you release any fear or guilt that has been triggered in you. 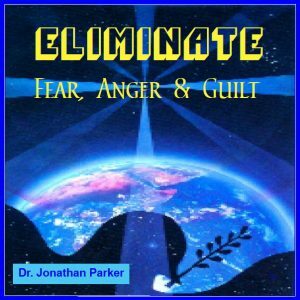 Programs 11-14 are subliminal programs that will enable you to release guilt, dissolve fear and worry, and erase anger and resentment. Listen any time, anywhere. Enjoy beautiful music and soothing ocean surf as your subconscious mind effortlessly becomes saturated with beliefs that will dissolve past negativity and fill you with new strength and inner direction. A full script of all subliminal messages is included. Programs 15-20: Mind-Talk programs include audible + subliminal affirmations that will reinforce the visualizations in this program. As you listen to the affirmations audibly, your subconscious mind will be storing the same subliminal confidence and success boosting affirmations, because they are subliminally embedded in the soothing environmental and musical background sounds. During this life-changing program you’ll tap into your subconscious and free yourself by erasing negative mental programming and blocks, and replacing them with life-enhancing positive beliefs and attitudes that will enable you to reach your goals and live your dreams.